Lake County Florida contains more livable lakefront property than any other area in Florida. The majority of the 50,000-acre Harris Chain is located within our borders plus over a thousand smaller named and unnamed lakes. With all of these lakes available, one would think that our area is covered with inexpensive and plentiful lakefront home sites. Unfortunately, this is not the case and demand far outstrips supply, making lakefront property some of the most desirable real estate in Florida. Many factors have contributed to the high price of Florida lakefront property. Strict environmental regulations have excluded many lakes and wetland areas from development. Fifty years ago clearing lake shorelines, filling wetlands and dredging canals were commonplace in Florida. Today, laws to protect wetlands are strictly enforced along with the protection of shoreline plants such as cypress trees and aquatic foliage. Many of our lake shorelines have been declared conservation areas where no clearing or pruning of any kind is allowed. Another reason for the high cost of lakefront property is the fact that Central Florida was settled long before the rest of Florida was explored. The vast majority of our lakefront lots already have a home of some kind on them, which means that to purchase a nice lakefront lot you often must buy the home along with the property even if you do not plan to utilize the structure. It is a common occurrence to purchase a Harris Chain lakefront home for $300,000-$500,000 and knock down the house to build a new home. In addition, many of these homes are handed down from generation to generation and are not for sale. The final reason for the high cost of lakefront property is purely demand. For many baby-boomers, retiring on the water in Florida is a life-long dream. 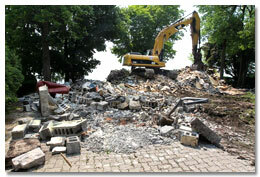 Some had the foresight to purchase this property years ago when prices were low. Others have sold homes or businesses in other states or countries where the property values are much higher and find our real estate a bargain even at today's high prices. 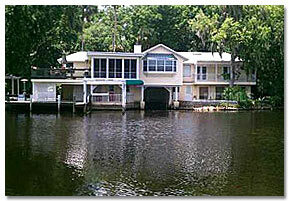 If you have questions about Florida Lakefront home prices, please contact us.